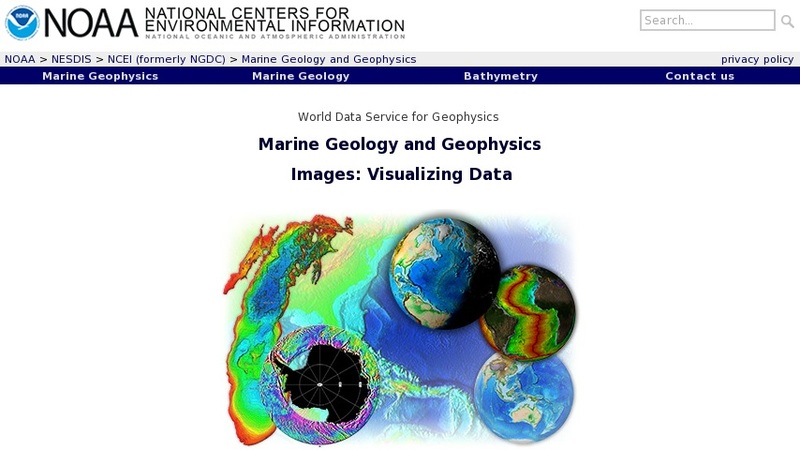 Excellent images of ocean topography, continental margins, crustal age, Great Lakes bathymetry, plus images of available posters and slide sets. Downloadable animations also available. Links to other NOAA resources.